Yes, Road Rash is making a come back after almost a decade by the name Road Redemption. One problem playing Road Rash today is its lack of compatibility with new age operating systems. Road Rash was made for Windows XP and 98, getting patch to run the same in Windows 7, 8 or 10 is difficult. That’s where you can try the Road Redemption. Notice that this game is not free. It was a game of 1990 era, everyone immediately fell in love with. To call it just a motor bike racing game would be an under statement since the Road Rash was much more than that. You had the ability to punch and kick your opponents off their bikes and even run over them. Road Rash even gave the player weapons to fight off. Of course those dirty cops on our backs and top it all off, lets not forget those amazing cut scene videos. Well, the last Road Rash game was launched back in 2003 as Game Boy Advance. After that EA seemed to have forgotten about the franchise but the community surely hasn’t. Now, coming to Road Redemption let’s get one thing straight. This game is not an official remake /reboot but in fact a spiritual successor. The developers behind this game hopes to attract the users by its nostalgic value of motorbike warfare. 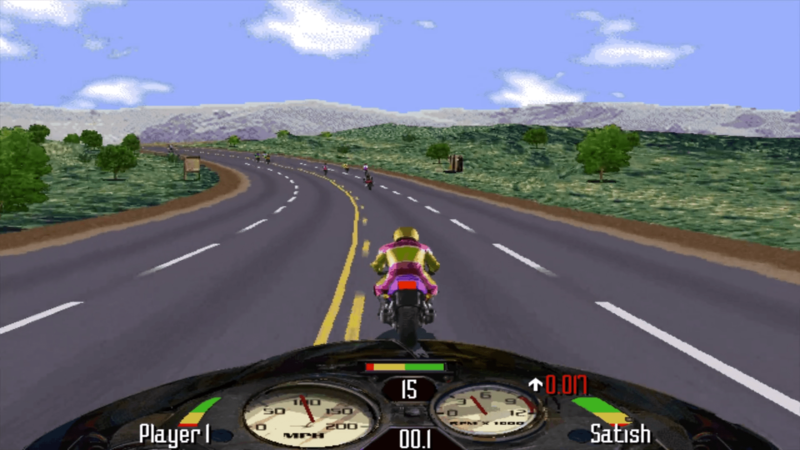 Starting off, the game play on road is similar to Road Rash, but later in all ways the game is built on the same foundation of motor bike race with the sense of fighting and competition with opponents. That being said, Road Redemption brings a lot more to the table. While it still maintain the arcade game play, running through the roads of American Midwest area. The game is now 3D as opposed to the previous 2D style game play. Players have the ability to use the mouse or controller which is essential for controlling cameras as well as shooting down your opponents. Unlike the most campaign racing games, the campaign mode in this game is a bit different. The game revolves around a story of you fighting off against the other biker groups to earn bounty rewards for killing off an assassin who also turns out to be the final boss. If Road Rash was a single player game, Road Redemption supports multiplayer. It comes with a local multiplayer up to 4 player split screen mode. Also, the developer has further stated that they will include online multiplayer feature in the future. Well, I am absolutely fall in love with this game and cant seem to take my hands of it. But what about you?. Will you be getting this game?. Let us know in the comments.